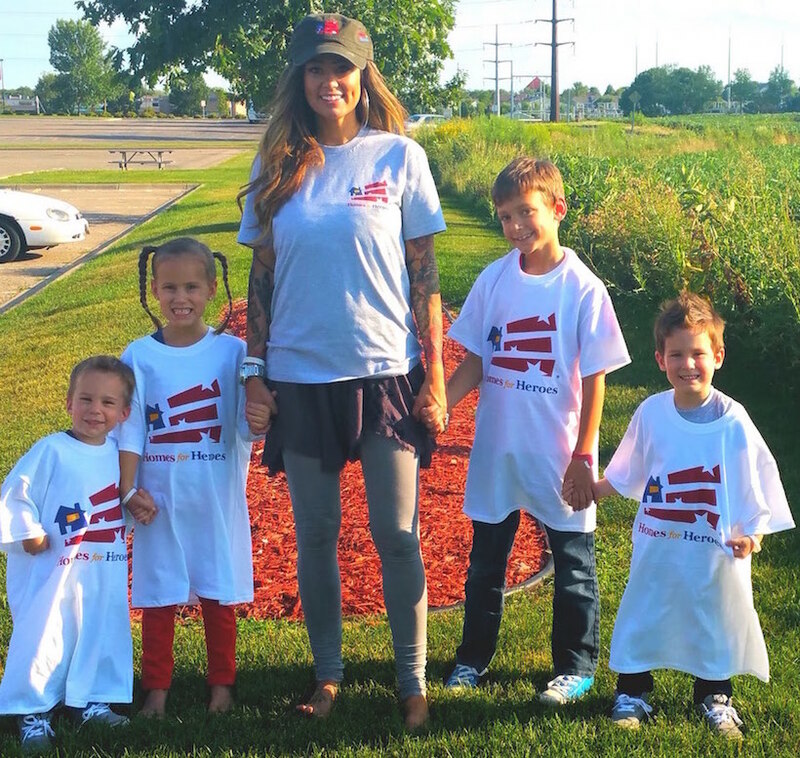 It was late Friday afternoon and the work day was drawing to a close when a vehicle traveling from Arizona pulled into our parking lot, and out came Juliann Ashcraft and her four children (Ryder, Shiloh, Tate and Choice); because they decided to visit our office to say “thank you” and Spread the Better. This was a special moment for us at Homes for Heroes. At our office headquarters, we typically do not have the pleasure of meeting the Heroes we help, but this day was wonderfully different. Juliann’s husband, Andrew Ashcraft, was one of the 19 fallen Granite Mountain Hotshots who were lost while fighting the Yarnell Hill Fire on June 30, 2013. Two years after the fire, NPR’s Eric Westervelt interviewed Kyle Dickman, former Hotshot and author of On the Burning Edge about what took place that tragic day, what was learned and how things still need to change. Following the loss of her husband, Juliann and her family decided to make some changes as well. Back in February, Juliann wrote us a letter to express her gratitude because Homes for Heroes and the Homes for Heroes Foundation donated to the United Phoenix Firefighters Association, and their Firefighter Union Established Relief Fund, where 100% of the donations made went toward the families of the Yarnell fallen. She also informed us of how she made a life-changing decision to hit the road with her kids and visit some of the people and / or organizations in each of the 50 states that helped her family. Juliann wrote, “I am sending this letter to you because we’d like to pay you a visit and express our gratitude to you in person and talk with you for a few minutes about what motivated you to reach out and buoy us up during our darkest days”. That day had arrived. Juliann, her adorable daughter Shiloh and her friend Morghen were the first to introduce themselves upon arrival. Then we found out the boys were sleeping, so we encouraged Juliann to bring them in as well. The kids quickly found their second wind as members of our team decided it was play time. 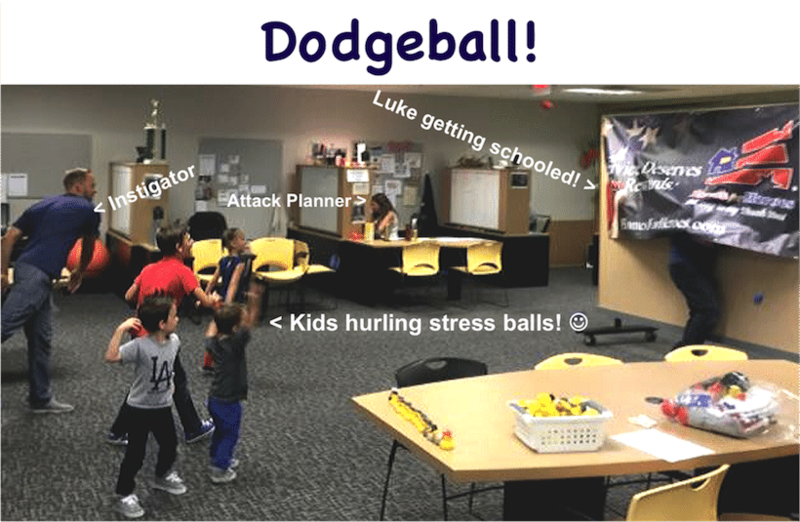 They played a little dodgeball…. 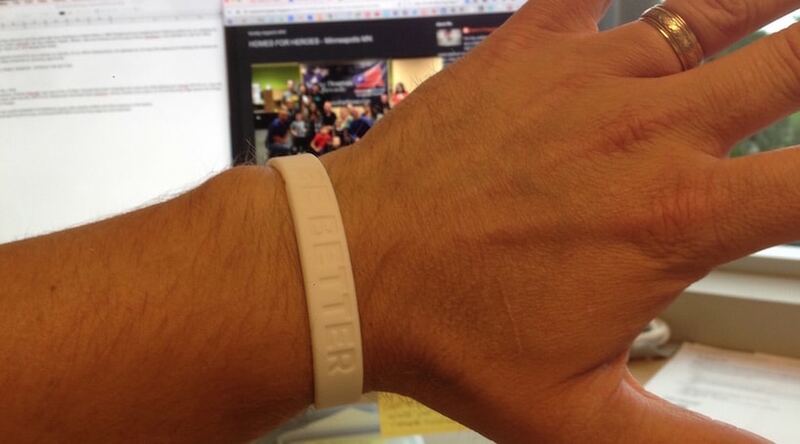 ….they gave us “Be Better” wristbands (of which I’m still wearing)…..
…..and presented us with some great photos! 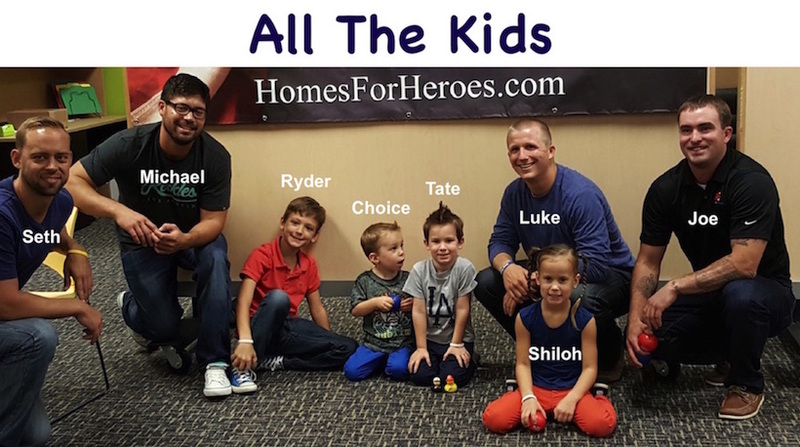 It was the perfect end to a Homes for Heroes week. 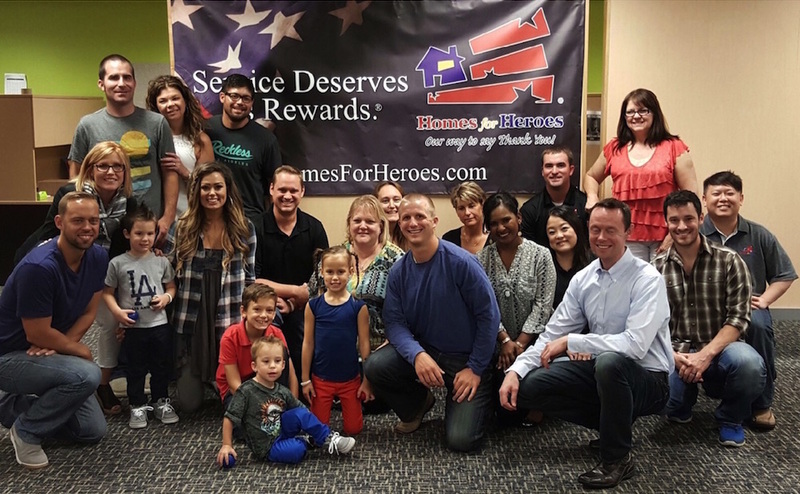 From all of us at Homes for Heroes, we thank you Juliann for giving us the opportunity to meet you and your family, for taking this journey of gratitude and for sharing your stories with us. It was an absolute pleasure to meet you and your family. We wish you nothing but the best on the remainder of your Spread the Better tour.